San Diego has attractions for everyone. 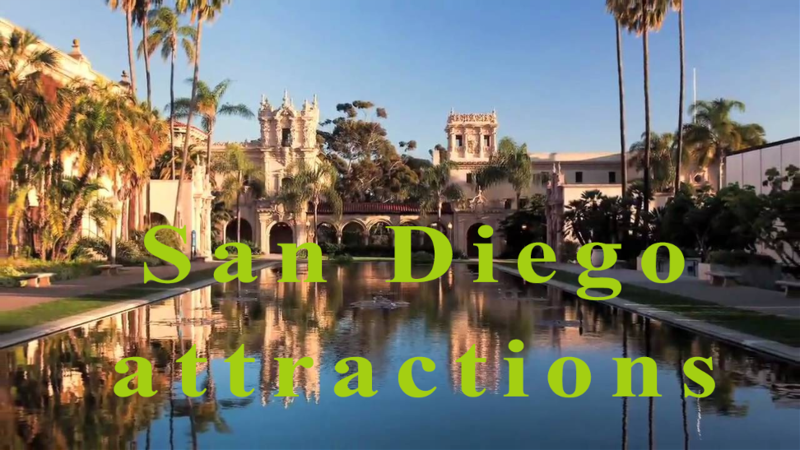 The San Diego Museum of Art’s excellent exhibits change frequently, and Balboa Park houses a wide variety of museums, several theaters, the Reuben H. Fleet Science Center and the San Diego Zoo. The downtown area offers many shopping opportunities, including boutique stores, Horton Plaza and Seaport Village. There are fine and casual restaurants, night clubs, dance venues, indoor and outdoor theaters, and other entertainment opportunities. In addition to Balboa Park’s offerings, families may enjoy Legoland, Seaworld, and football at Qualcomm Stadium or baseball at Petco Park. La Jolla offers beautiful beaches, upscale shopping, art museums, the Birch Aquarium at Scripps Institute of Oceanography, Torrey Pines Golf Course, and various venues for musical and theatrical performances.